The Oakland Raiders make the long road trip out to FedEx Field for a week three showdown with the Washington Redskins on Sunday Night Football. The Redskins had a much needed positive week two, going into LA to post a 27-20 win over the Rams. They are now 1-1 and face a tough Oakland bunch at home in this spotlight game. The Raiders looked potent in week two with a big 45-20 win over the Jets at home. After a come-from-behind win over the Titans in week one, they blew out the Jets and already through two weeks, the Raiders look to again be among the best teams in the conference. The Raiders have a lot of things that make a great team. Their defense might still be exploitable and a possible roadblock to victory on a given day, but the offense is tip-top. And more often than not, when the defense is called upon to produce, they act accordingly. They are high-powered enough to blow out teams, while also having proven their knack for pulling out games that are close and up-for-grabs at the end. They have a lot of tools. On offense, they put a lot of different pieces to use, as there is enough room for a lot of different players to shine. Derek Carr has started the season fast, an especially positive development based on his season ending late last year with an injury. The offense showed great balance on Sunday. Aerially, Carr was accurate on 23-for-28 passing with 3 TD throws. WR Michael Crabtree was deadly with three touchdowns, while RB Jalen Richard, Amari Cooper, and TE Jared Cook also made contributions. Their deep running game was highlighted by Marshawn Lynch running for a TD in his first game as a Raider in his hometown. Between Lynch, Richard, Cordarrelle Patterson, and DeAndre Washington, they ran for 180 yards. Patterson scored on a 43-yard run, with Richard running for a TD for 52 yards. Kudos go to an O-line that seems to pick up steam with each passing season. The Oakland defense can sometimes be porous, especially in the back. But so far this season, they have given up 36 points in both games and in a vast majority of games, that kind of overall effectiveness is going to be more than enough to win. Up-front, they could really be coming around. Mario Edwards had 1.5 sacks, with Khalil Mack a massive presence who also had a sack on Sunday. Rookie DT Eddie Vanderdoes looks to have added some juice, as well. The secondary will welcome back Sean Smith, who could return this week. Reggie Nelson is a playmaker at safety and running mate Karl Joseph had a sack on Sunday. But corner play is a potential trouble area, especially with Smith either hurt or compromised. It was critical for the Redskins to not fall to 0-2. They didn't look that great in week one, falling apart late against the Eagles in a 30-17 loss. So to get the win on Sunday was big and to do it in a faraway road game against a Rams team that had looked really good in week one gives it a little extra weight. They were able to cap the day off with a winning TD drive late in the last quarter. Kirk Cousins bounced back nicely after a rough week one performance where he turned the ball over three times. On Sunday, he threw a TD and was pretty efficient. He got a big boost from the running game, with him, Chris Thompson, Rob Kelley, and Samaje Perine combining for a robust 229 yards on the ground. Thompson scored on a 61- yard TD run on a big play. The offense did pretty well, considering they were playing a tough defense that had really looked good in week one. With the performance of the running game, Washington's offense could really be good when Cousins starts clicking with ball-catchers, Jamison Crowder, Terrelle Pryor, Jordan Reed, and others. The line was really good on Sunday, keeping Cousins relatively safe against a good Rams' defensive line and helping spring loose a nice run-game. The Redskins' defense looked a lot better in week two. They made Goff look a lot more ordinary than he did in week one. Mason Foster picked off a pass and has been big through two weeks, though he had to leave the game hurt on Sunday with a shoulder injury. Also in the middle, Ryan Kerrigan had a sack, as did Preston Smith. Leading the secondary, corner Josh Norman and DJ Swearinger were able to keep the LA aerial attack in check. And when it counted most late, they were able to be stout enough and make enough big plays to enable the team to score a key road win. This is a tough road spot. The Raiders don't see a lot of road games against NFC East teams. One should still expect a full effort from a Raiders team that brings it every week. The Redskins are feeling a lot better about themselves than they were a week ago and 2-1 is a lot better than 1-2. The Redskins could see the aerial attack manifest against this Raiders secondary this week. We envision a competitive game with each team taking turns having moments of success. At the end of the day, we see the Raiders having a few more big moments. While realizing the traps in making this bet, I'm taking the Raiders on Sunday Night Football. 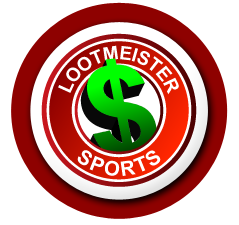 Loot's Prediction to Cover the Point Spread: I'm betting on the Oakland Raiders minus 3 points. Tired of your credit card not working for sportsbook deposit? End that problem today and bet the Raiders vs. Redskins game by signing up at Bovada Sportsbook where your credit card WILL work and where you'll receive a generous 100% sign-up bonus!